Summer is around the corner, and I want to get my patio ready for cookouts and backyard parties. I adore tropical flowers, and I have several varieties, like hibiscus, planted in my yard. 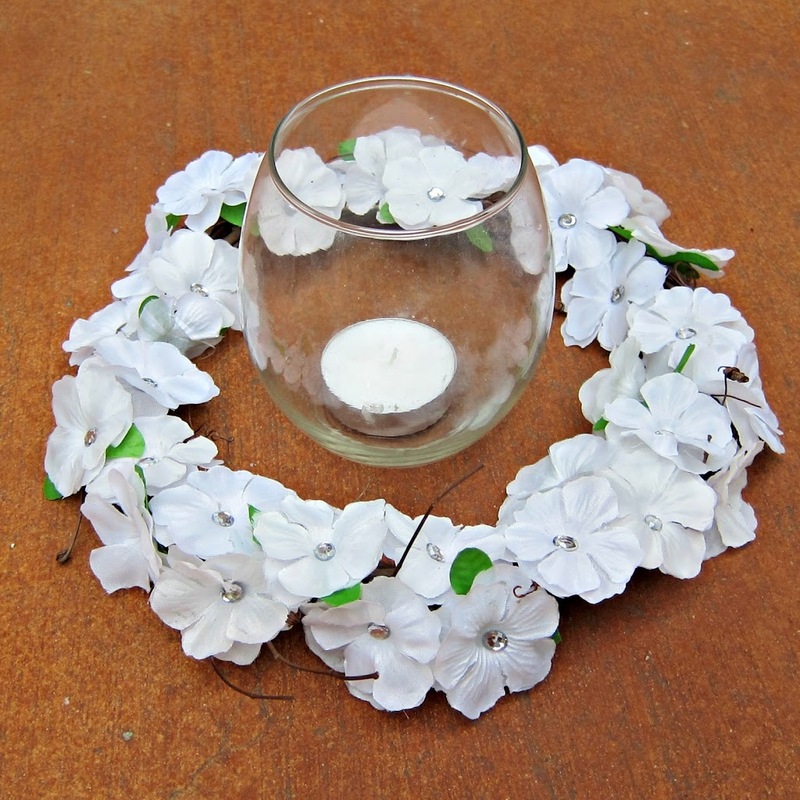 I wanted to bring that beauty to the table, so I used a lei to create a quick, inexpensive centerpiece. 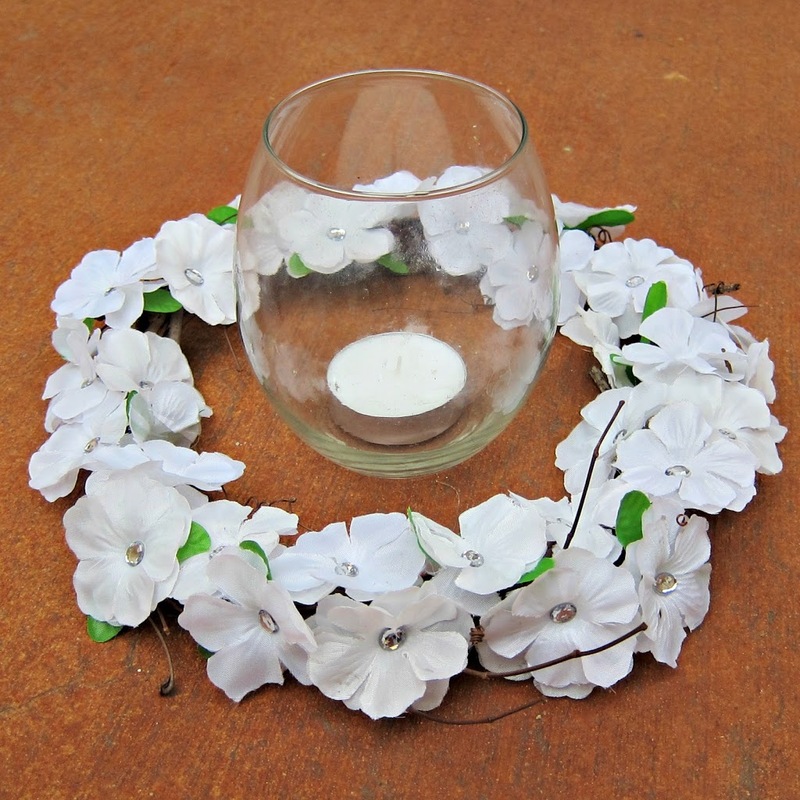 At just $2 per centerpiece, you could make enough for a big gathering. 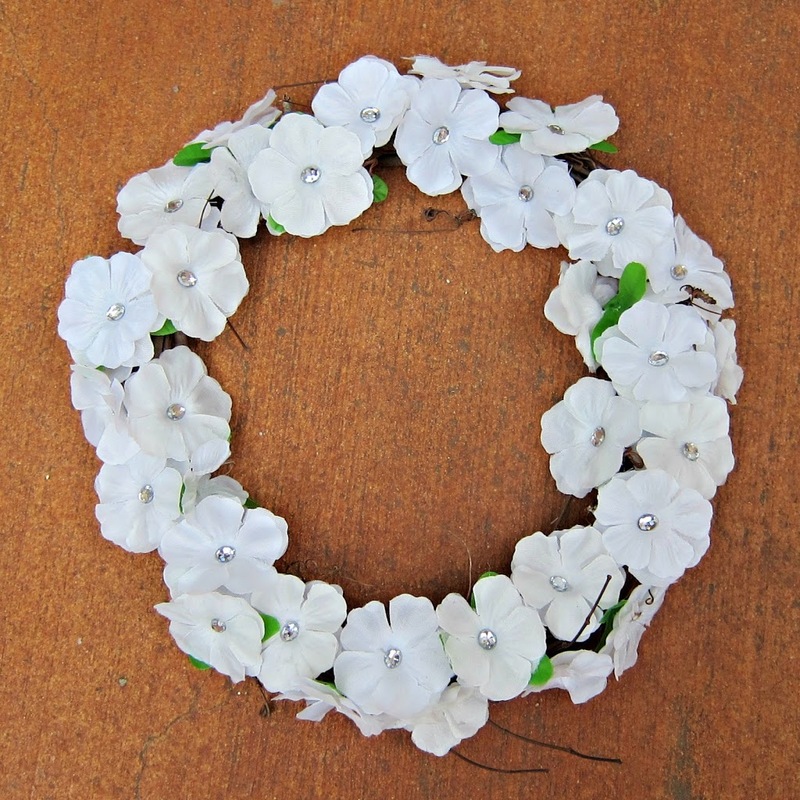 Or, since it IS a wreath, hang it on your door instead. Your choice! 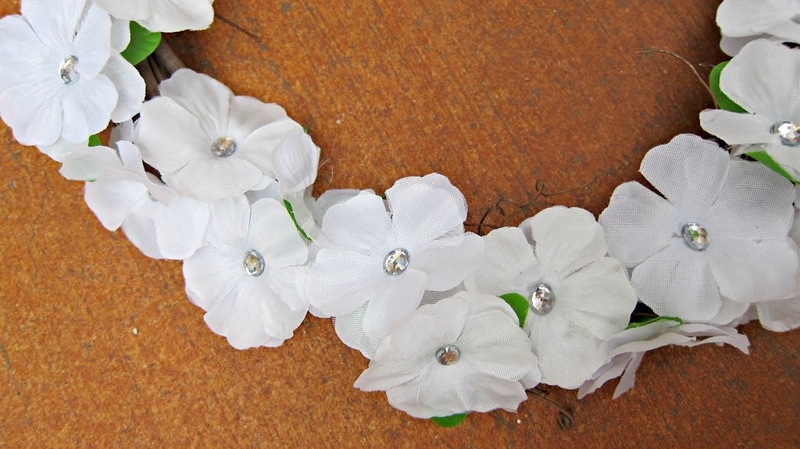 Step one: Cut the lei to remove the flowers. 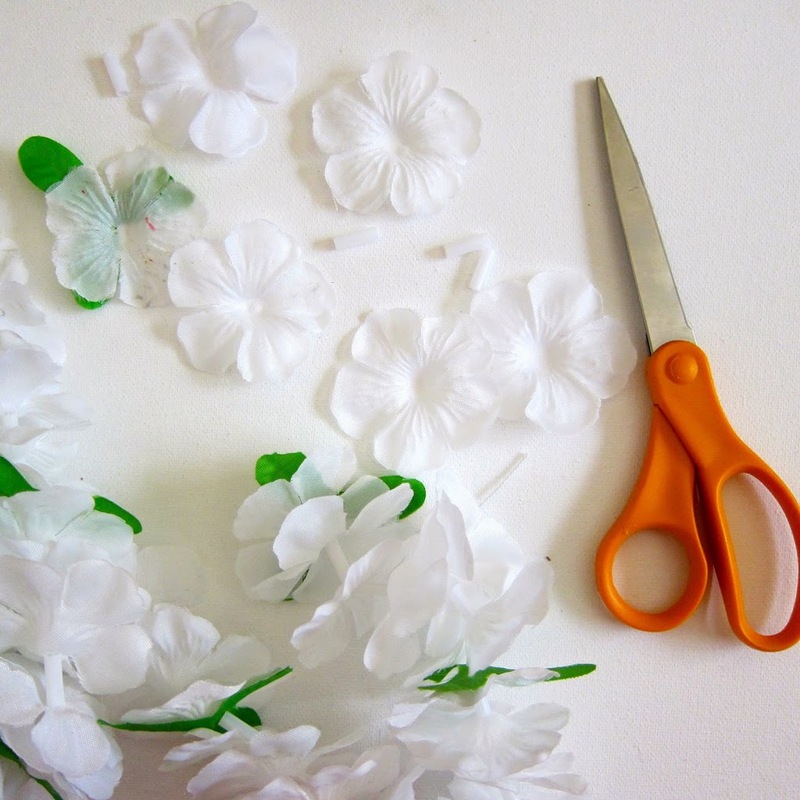 Discard the straws and just use the flowers and leaves. 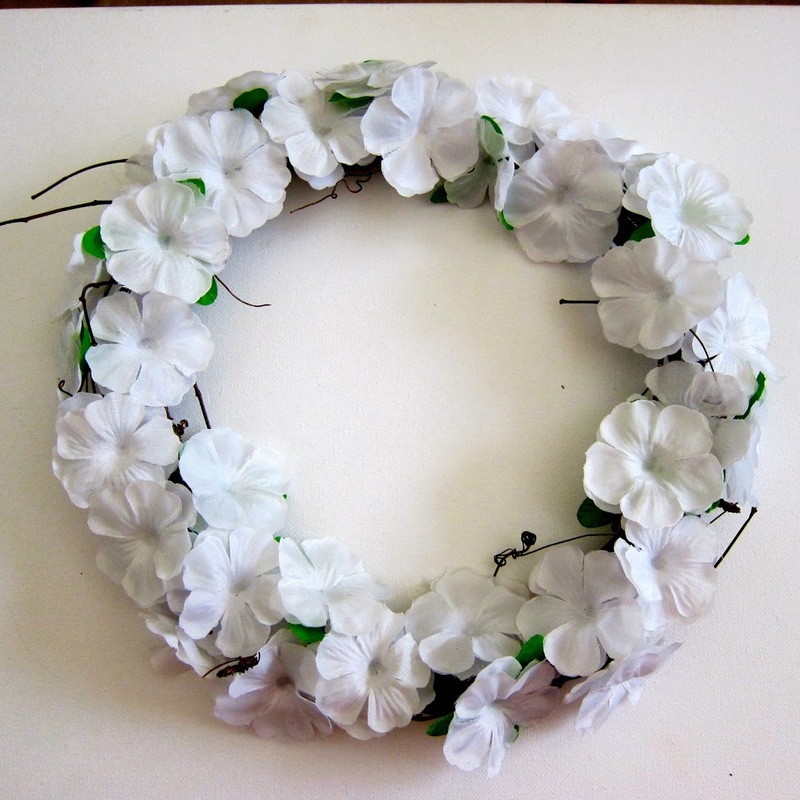 Step two: Use the glue gun to attach the leaves and flowers to the wreath form. I glued two flowers together to make them fuller. Step three: Glue rhinestones to the centers of the flowers. 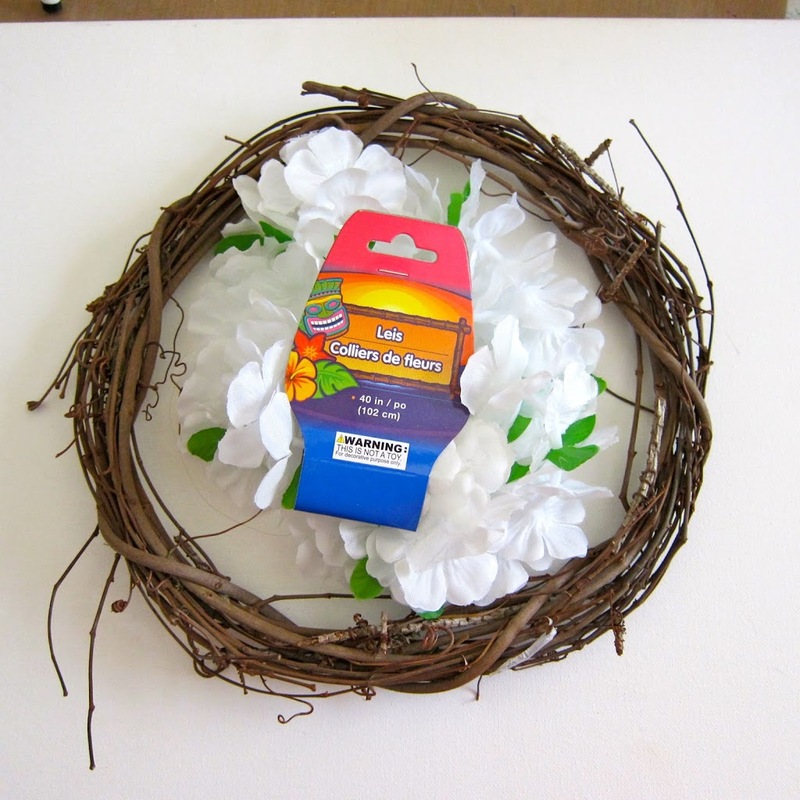 Your wreath/centerpiece is now ready to display! You can place a hurricane glass in the center and put a candle inside. 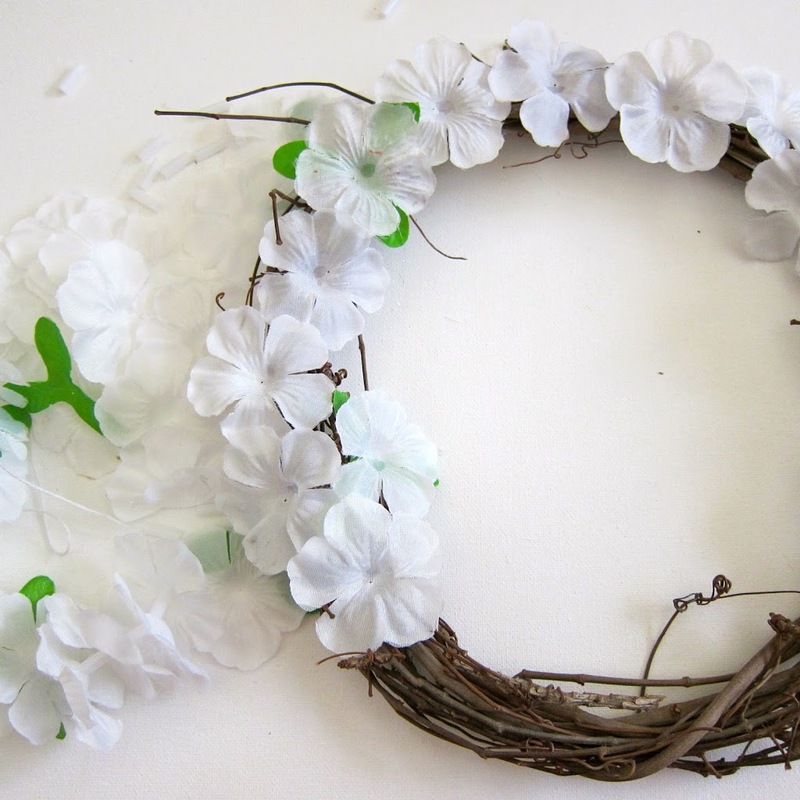 You could also arrange a few candles inside the wreath. As for me, being in mosquito country, I’ll probably plop a big citronella candle in the middle. But it will be the prettiest citronella candle around!